Could algae be the new superfood? The word “algae” may conjure up images of pond scum -- which is not exactly appetizing unless you're a fish. But many health gurus are heralding it as the next big superfood. Time to share the spotlight, kale: experts say algae packs an even bigger nutritional punch. These days, however, algae is a harder sell. With a grocery store full of other options, the idea of welcoming the slimy sea greenery into your diet may be tough to swallow. But once you’ve heard its health benefits, it may become a little easier to fathom. Organic blue-green algae grows in the still, alkaline waters of lakes and ponds. 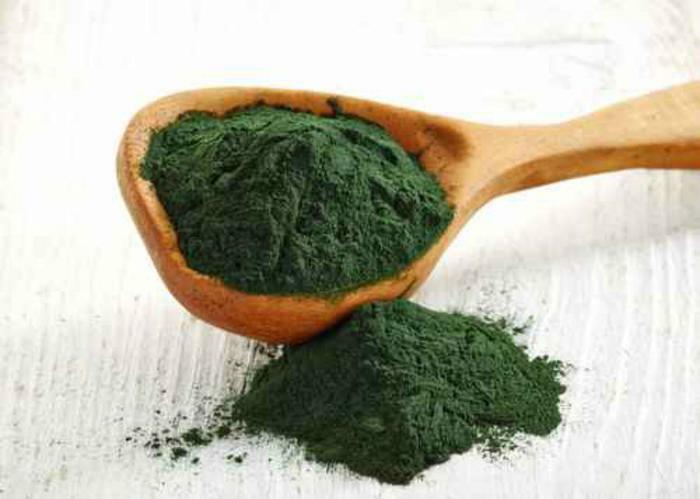 The most consumed forms of blue green algae are Spirulina and Aphanizomenon flos-aquae (AFA), which both earn superfood status thanks to high concentrations of proteins, vitamins, and nutrients. Spirulina is one of the highest known protein sources on the planet, containing 70% complete protein (for perspective, a cooked steak contains only 25%). Also on its laundry list of health benefits: increased energy and ability to combat illness, improved respiratory function, and reduced inflammation. It also harnesses the complete spectrum of amino acids -- eight essential and 10 non-essential. In addition to being good for your insides, it's kind to the earth. One acre of algae can replace 1,000 acres of soy protein, so vegans and vegetarians who rely heavily on soy as a source of protein source can shrink their carbon footprint with algae. If you’re considering giving algae a shot, the next question might be one of ‘How’—how do I even eat algae, and furthermore, how will my taste buds feel about it? Rest assured that algae can be as delicious as it is nutritious. Experts say algae can be eaten in the form of a powder or tablet. If it’s in a powder form, adding it to your morning smoothie is an easy way to incorporate it into your day. If you’re craving something sweet, Spirulina can be added to baked goods, such as these Spirulina Power Bites. There's also a relatively new strain of red marine algae called "Dulse," which researchers claim tastes just like bacon. As with most other supplements, it’s important to talk to your doctor before adding algae to your diet. Due to its ability to increase the immune system, blue-green algae might decrease the effectiveness of medications that decrease the immune system. Would warning labels reduce consumption of added sugars?